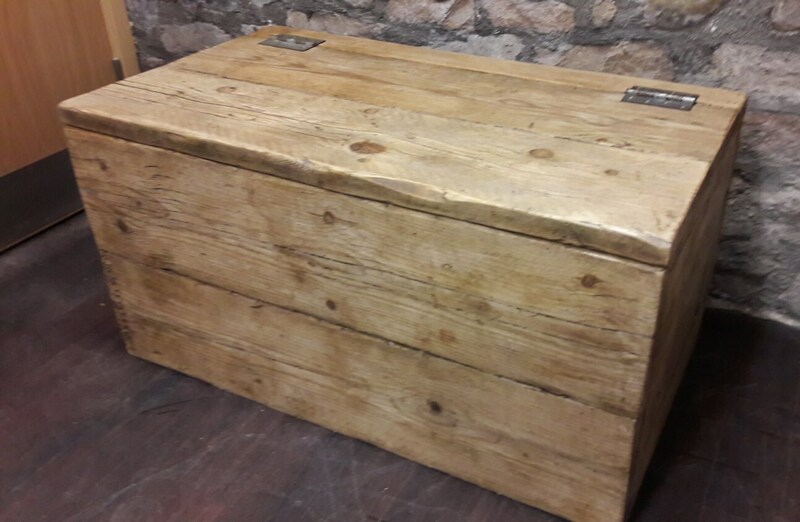 This fabulous rustic chest has been handmade using reclaimed scaffold boards. 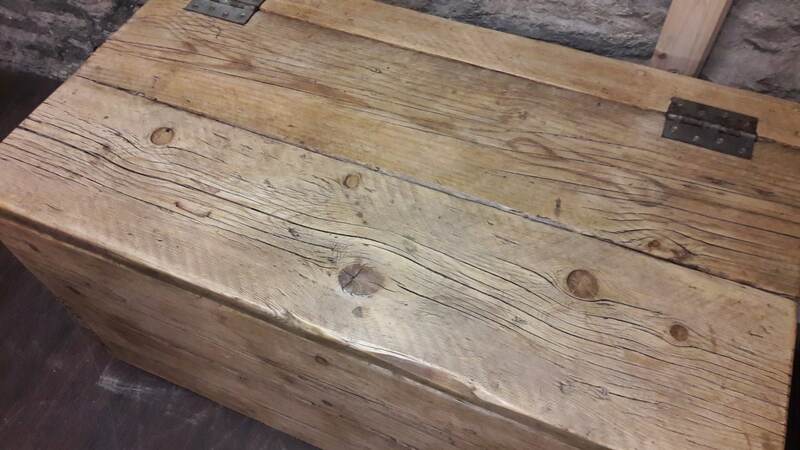 it has been sanded then waxed to give it an aged vintage look. the hinges are reclaimed and have age which compliments the overall look. 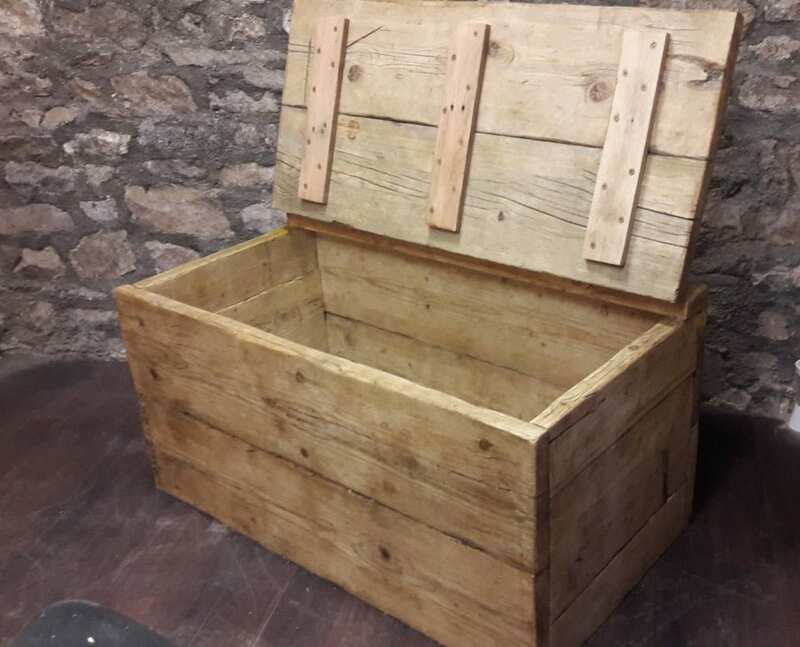 this item would look fabulous as a blanket box in the bedroom or as storage in any room. the box has been constructed in a way which doesn't require batons in the corners which maximizes the space inside. PLEASE NOTE THIS ITEM IS BUILT TO ORDER SO PLEASE ALLOW 4 to 6 WEEKS BUILD TIME. 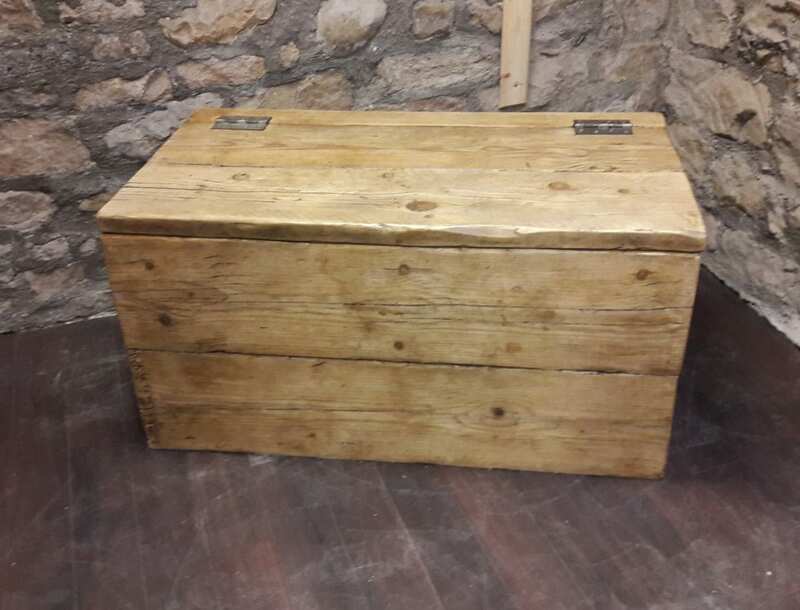 As the box has been made from reclaimed wood it retains all the marks and scares of its previous life which adds to its overall character making each one an individual piece. I love it. Just what i was looking for, thankyou. Would definitely buy from this shop again. Good communication throughout. Gorgeous item, very well made. Very happy with purchase. Item was a bit slow to arrive but good communication from seller made it no problem at all. Well made and well finished. It’s very solid (and very heavy!). It did take ages though and i had to chase up on its whereabouts a few times. The simplicity of the design is great, but it is quite challenging to move around without any handles. Looking forward to getting it into place and using it when the smell wax wears off. 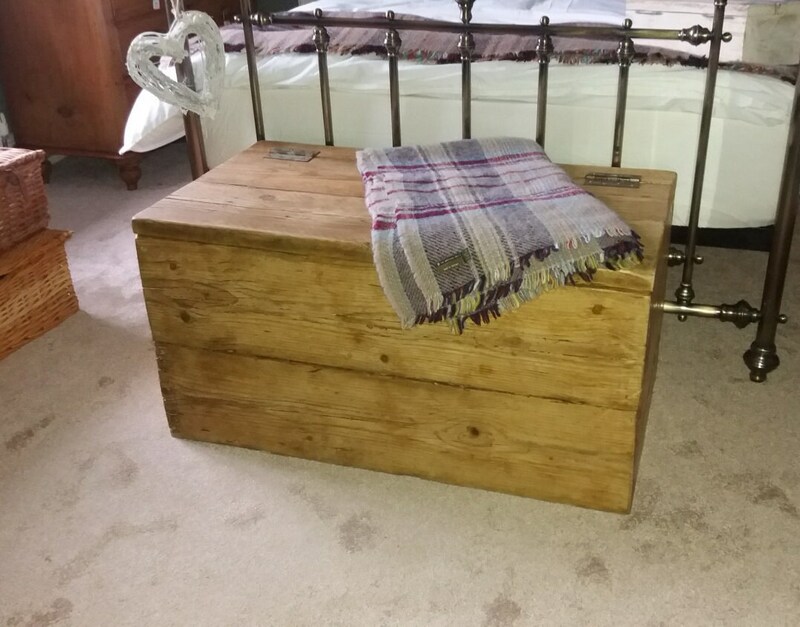 Absolutely perfect, the bedside tables and boxes are so useful and look great with everything!